Gorgeous oceanfront Victorian style villa sits in a small gated community with similar designed other properties in a classic style. Breathtaking panoramic views across the north Atlantic ocean and cool breezes make this an ideal place for a vacation villa or year round living. 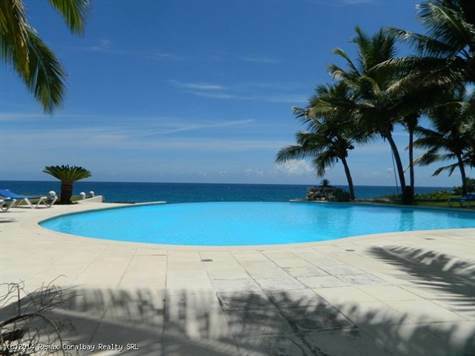 You can just walk to a small private beach or enjoy a very large shared infinity pool. There is plenty of room in front of the villa for a private pool if required. Impressive size balcony on top floor with fantastic views, the house is fully furnished with great style .... If you are looking for oceanfront property, this Victorian style villa is an excellent choice !